Redcar and Cleveland circular walk is on part of the Cleveland Way. 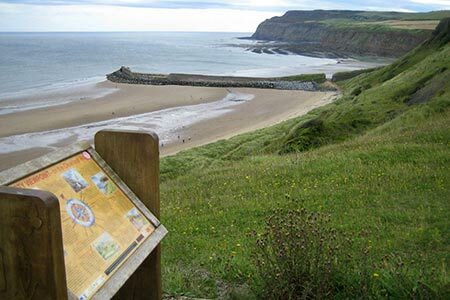 There is a pleasant coastal section and the route into Saltburn from the cliff tops and out through the Skelton Valley Park is interesting. You also pass close to the Lumpsey Ironstone mine. A GPX File is available for download (see walk description).